The multi-talented vocalist, Dave Grohl is known as the founder and lead singer of the heavy metal rock band, Foo Fighters. Prior to the invention of the band, Grohl was famous for being the sensational drummer of the former rock band, Nirvana. Following the outstanding performances of Foo Fighters, the group has clinched several awards, having landed the Grammy Award for Best Rock Album with four of their albums. More so, the skillful drummer, Grohl, and his former Nirvana bandmates, Kurt Cobain, and Kris Novoselic have been inaugurated into the Rock and Roll Hall of Fame as a result of their impressive body of works and performances. Learn more about the award-winning musician below. The founder of the Foo Fighters was born as David Eric Grohl to James Harper and Virginia Jean Grohl in Warren, Ohio, the United States on the 14th of January, 1969. His father worked as a newswriter while his mother was an instructor. When Grohl was 7 years old, his parents got separated and as a result of this, Grohl was nurtured by his mother. Having a keen interest in music, the famous singer started attending lessons on how to play the guitar at the age of 12. He subsequently quit the lesson and started teaching himself. In a quest to complete his basic education, Dave Grohl attended three different high schools namely, Thomas Jefferson High School, Bishop Ireton High School, and Annandale High School. During that time, Grohl performed with multiple local bands including Freak Baby and eventually quit from high school in order to kick-start his career as a drummer with a D.C rock band, Scream, at the age of 17. He stayed with the band for four years and went to multiple music concerts with them before joining Nirvana in 1990. Grohl alongside his Nirvana bandmates successfully recorded several songs and albums, with the brilliant drummer contributing more to the band’s songwriting. They went on to release ‘Nevermind‘, ‘Heart-shaped box‘, ‘Big Me‘, ‘You Know You’re Right‘, among others. Later, on April 10th, 2010, the rock band gained more public recognition as they were inaugurated into the Rock and Roll Hall of Fame, 20 years after the demise of one of their lead members, Kurt Cobain. Following the death of Cobain, the group went their separate ways and this led the brilliant songwriter to form his own band, Foo Fighters, where he displays his exceptional skills and talent in songwriting as he is most often the brain behind the Foo Fighter’s lyrics. The famous rock band has gone ahead to release at least nine albums which include, ‘The Color and the Shape‘, ‘One by One‘, ‘Wasting Light‘, and ‘Concrete and Gold‘. However, the Foo Fighters were ushered into stardom through the release of their seventh album, ‘Wasting Light‘, which is their first album to have hit the top spot by becoming No.1 in America. Similarly, the group’s ninth album, ‘Concrete and Gold‘ also reached another landmark by gaining the No.1 spot on the Billboard 200. Furthermore, David Grohl has performed with other bands such as Queens of the Stone. He has also performed with the legendary musician, Paul McCartney during the 51st edition of the Grammy Awards. Interestingly, the multi-talented musician broke the record in the music industry by having his songs on the Billboard Modern Rock chart for 17 to 18 consecutive weeks as a fellow of three diverse groups. 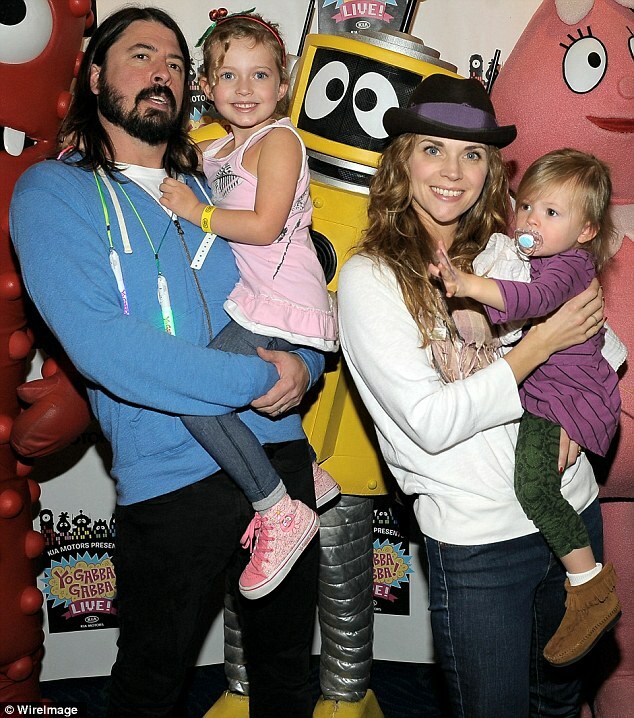 Aside from being a musician, Dave Grohl has made several appearances on TV shows and documentaries including featuring with his ex-wife, Jennifer Youngblood in an episode of X-files. He has also starred on Muppets, Salad Days and many others. 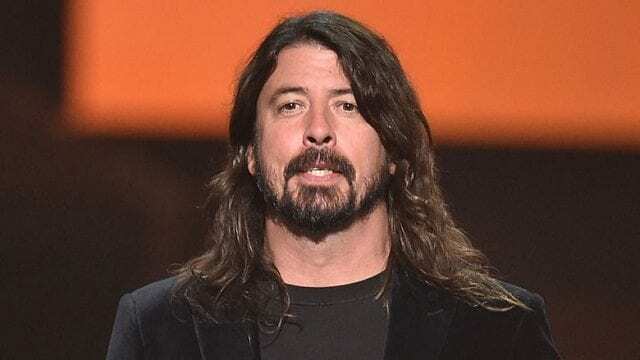 Following his exceptional body of works, Dave Grohl has been honored in his hometown, Warren, Ohio, as he was bestowed with the Key to the City. Being rated as the third wealthiest drummer in the world, Dave Grohl has amassed an enormous wealth with all his endeavors as a top musician. His financial value is estimated to be a jaw-dropping sum of $260 million. Concerning his personal life, the famous guitarist was previously married to Jennifer Youngblood for three years before exchanging marital vows with his now wife, Jordy Blum, who works as a Television producer, on 2nd August 2003. The couple has three daughters of their own; Violet Maye was born on 15th April 2006, then three years later Jordy gave birth to Harper Willow and they welcomed Ophelia Saint in August 2014. The couple is still staying together with their love waxing stronger each day. The founder of Foo Fighters is quite a tall man, although he may not be the tallest man you would ever come across, he stands at a towering height of 6 feet (1.83m). He further has a body weight of about 75 kg (165 lbs).